Welcome to Ward 5 Online: Eat at Jumbo's Wins Pizza Battle! 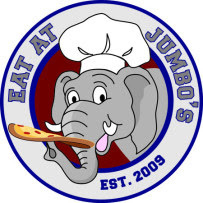 Eat at Jumbo's Wins Pizza Battle! Big congratulations to Grover & his staff at Eat At Jumbo's on their victory at "The Pizza Royal Rumble" held in Somerville recently! Eat At Jumbo's is located in Ball Square and is a proud member of Somerville Local First and the Chamber of Commerce!